Net new assets brought to the company by new and existing clients in November 2015 totaled $17.2 billion. 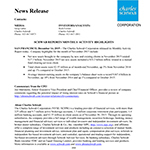 November 2015 net new assets included a $10.2 billion inflow related to a mutual fund clearing services client. Total client assets were $2.55 trillion as of month-end November, up 3% from November 2014 and up 1% compared to October 2015. Average interest-earning assets on the company’s balance sheet were a record $167.4 billion in November, up 18% from November 2014 and up 1% compared to October 2015. Joe Martinetto, Senior Executive Vice President and Chief Financial Officer, provides a review of company comments regarding the potential impact of rising interest rates on Schwab’s financial picture at: http://aboutschwab.com/investor-relations/cfo-commentary. 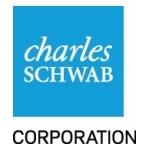 The Charles Schwab Corporation (NYSE:SCHW) is a leading provider of financial services, with more than 325 offices and 9.7 million active brokerage accounts, 1.5 million corporate retirement plan participants, 1.0 million banking accounts, and $2.55 trillion in client assets as of November 30, 2015. Through its operating subsidiaries, the company provides a full range of wealth management, securities brokerage, banking, money management and financial advisory services to individual investors and independent investment advisors. 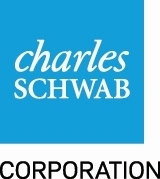 Its broker-dealer subsidiary, Charles Schwab & Co., Inc. (member SIPC, http://www.sipc.org), and affiliates offer a complete range of investment services and products including an extensive selection of mutual funds; financial planning and investment advice; retirement plan and equity compensation plan services; referrals to independent fee-based investment advisors; and custodial, operational and trading support for independent, fee-based investment advisors through Schwab Advisor Services. Its banking subsidiary, Charles Schwab Bank (member FDIC and an Equal Housing Lender), provides banking and lending services and products. More information is available at www.schwab.com and www.aboutschwab.com.